Grand Forks Welding and Machine first opened its doors in 1885, as the Grand Forks Foundry. Back then, we were located on the banks of the Red River, and most of our business came from the riverboat industry. In the last 125 years, we have become a little less dependent on riverboats. We now offer such varied services as fabrication, repairs, custom machining and a large inventory of steel and parts. Over the years, Grand Forks Welding has acquired a reputation for doing the highest quality work and giving the best possible service. 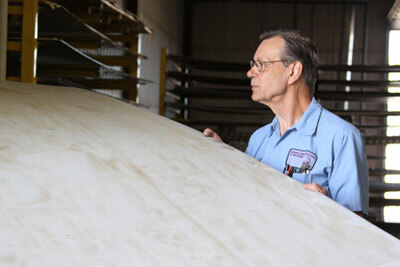 Our highly trained staff is ready to help design, build, or repair almost anything you can think of. Please come in or give us a call at 1-800-342-7298 or (701) 772-4866 to find out what we can do for you.